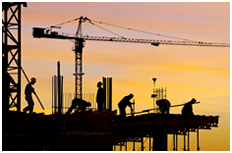 We specialize in high risk business insurance including construction class codes and some non-construction class codes. We develop special plans to fit the needs and budgets of our clients. We primarily focus on small to medium sized established companies with good track records of safety and low claims. But, we can get Worker's Compensation Insurance options for almost any high risk hard to insure business. We protect your business and your people. Fill out our free online workers' compensation quote now and let us show you how we can save you money today. Need it now? Our business insurance programs are designed for small to medium size businesses that allow you to get the best rates, to compete with the bigger companies and beat your competition. We also offer total payroll management, staff leasing, payroll processing services, tax services and many other backroom services. With our professional payroll services audits will be a thing of the past. We also offer health benefit options. Read more about our PEO Professional Employer Organizaiton Services to see how we can help you. Don't wait until you get a bill that you can't pay. We keep track of the changing conditions in the 41 states that we service so you don't have to. Fill out our free online workers' compensation quote now and let us show you how we can save you money now. Our plans will save you money. Health insurance premiums are also rising and we know that you want to retain good employees. Let us help you work out good health care benefit options at the best prices so you can hire and retain the best people. Government health care? If that happens, we'll figure that out for you too! Site Managed by Butler Information Technologies, Inc.